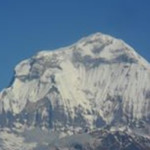 Nepal View Trekking Pvt. Ltd.
Rhododendron flower this is blooming End of March to end of May. epal’s first and most famous national park (Chitwan National Park) is situated in the Inner Terai lowlands of Chitwan. Covering an area of 932 sq. kilometers the park includes hilly areas of the Shivalik Range covered by deciduous trees. Parts of the park are floodplains of rivers Narayani, Rapti, and the Reu, covered by dense tall elephant grass, forests of silk cotton, acacia and Sisam trees. Chitwan National Park was officially established in 1973 and included as World Heritage Site in 1984.